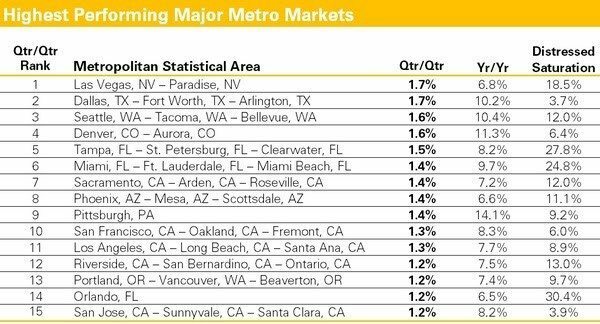 Midtier homes priced between $120,000 and $345,000 are the worst-performing housing segment when it comes to overall appreciation. Current price levels for midtier homes are 24.8 percent below 2006 peak levels. Low-tier homes — those selling for less than $120,000 — are closest to 2006 peak levels, only off by 10.1 percent. A recent report suggests that “midtier” homes — those that sell between $120,000 and $345,000 — are the worst-performing housing segment when it comes to overall appreciation. 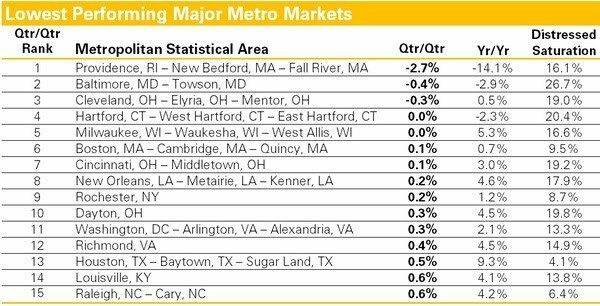 According to Clear Capital’s Home Data Index, current price levels for midtier homes are 24.8 percent below 2006 peak levels. In comparison, low-tier homes — those selling for less than $120,000 — are closest to 2006 peak levels, only off by 10.1 percent. Top-tier homes — those selling for more than $345,000 — trail 2006 peak levels by 14.2 percent. This vast difference in market recovery underscores the continued challenges the majority of homeowners face, despite a quicker recovery in both the bottom and top segments of the market, according to Alex Villacorta, vice president of research and analytics at Clear Capital. The mid tier’s performance is concerning because it represents the key move-up buyer segment of the market, Villacorta notes, adding that as long as this segment is still fighting to regain an equity foothold, those homeowners will find it difficult to re-engage in the purchase market. Midtier homes represent a key move-up buyer segment. The low tier was both hit and buffered by high levels of distressed activity, which in recent years has sparked investor activity. 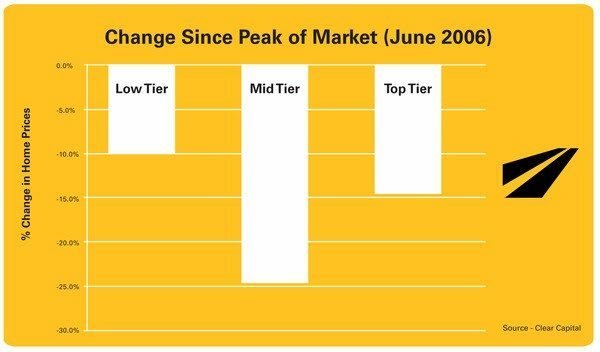 The top tier has benefited because it’s a segment of the market that’s more resilient to the current economic climate.